This book considers significant research topics in this domain. 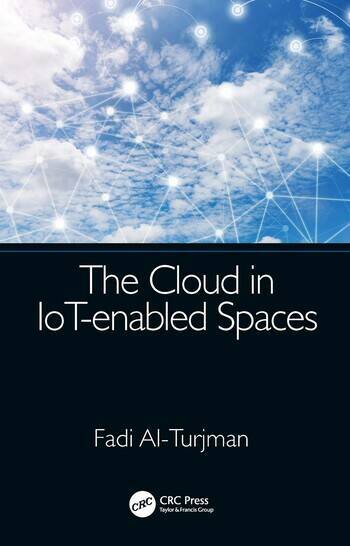 It addresses major issues and challenges in IoT-based solutions proposed for the Cloud. It paves the way for IoT-enabled spaces in the next generation cloud computing paradigm and opens the door for further innovative ideas. Topics include Cloud-based optimization in the IoT era, scheduling and routing, medium access, data caching, secure access, uncertainty, home automation, machine learning in wearable devices, energy monitoring and, plant phenotyping farming. 1. Cloud-based Optimization in the IoT Era. 2. Scheduling and Routing in Cloud-based IoT. 3. Medium Access in Cloud-based IoT. 4. Data Caching in Cloud-based IoT. 5. Secure Access in Cloud-based IoT. 6. Uncertainty in Cloud-based IoT. 7. Home Automation in Cloud-based IoT. 8. Machine Learning in Wearable Cloud-based IoT. 9. Energy Monitoring via the Cloud-based IoT. 10. Plant Phenotyping and Farming in Cloud-based IoT. Fadi Al-Turjman is a Professor at Antalya Bilim University, Turkey. He received his Ph.D. degree in computer science from Queen’s University, Canada, in 2011. He is a leading authority in the areas of smart/cognitive, wireless and mobile networks’ architectures, protocols, deployments, and performance evaluation. His record spans more than 180 publications in journals, conferences, patents, books, and book chapters, in addition to numerous keynotes and plenary talks at flagship venues. He has received several recognitions and best papers’ awards at top international conferences, and led a number of international symposia and workshops in flagship ComSoc conferences. He is serving as the Lead Guest Editor in several journals including the IET Wireless Sensor Systems (WSS), MDPI Sensors and Wiley. He is also the publication chair for the IEEE International Conf. on Local Computer Networks (LCN’18). He is the sole author/editor for 7 recently published books about cognition and wireless sensor networks’ deployments in smart environments with Taylor and Francis, and the Springer Nature (Top tier publishers in the area).